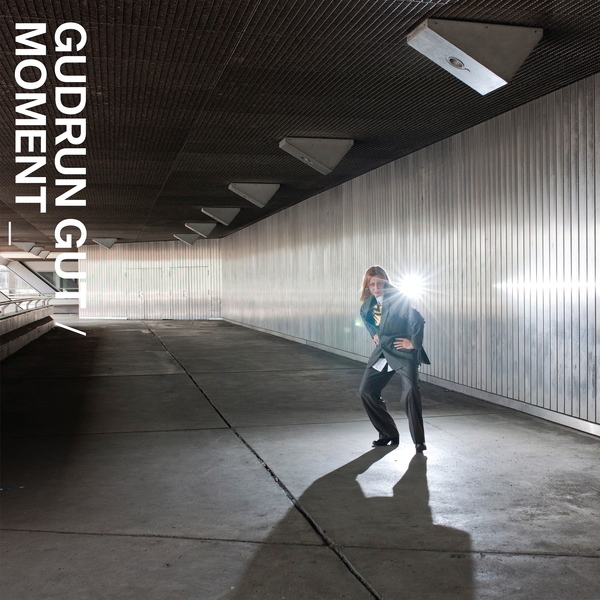 “German electronic originator Gudrun Gut’s latest solo collection distills a lifetime of persuasions and obsessions into a compelling 14-track statement: "Moment." Stark, somber, sultry, and clever, the sides slide between ballad and lament, synth-pop and spoken word, anthemic and abstract. Gut’s background as a key figure in Berlin’s first-wave industrial uprising still casts an aura in the music’s mechanized rhythms and frozen emotional palette but decades of improvisation and collaboration have deepened her sense of composition and melody beyond any easy genre categorization. If anything "Moment" finds Gut’s muse at its most enigmatic, threading shades of motorik hypnosis, technoid laboratory, coldwave pop, glitchy gauze, and even a gender-bent Bowie cover (“Boys Keep Swinging”) into its eclectic web. It also showcases the depth and detail of her voice, reserved but suggestive, intoning blunt truths and opaque poetry in both German and English. Gudrun Gut’s story spans many years, scenes, and sounds, from the “ingenious dilettantes” subculture of early 1980’s Berlin as part of Mania D, Einstürzende Neubauten, and Malaria! to her twilit industrial pop trio Matador into an expansive solo catalog of later work scoring films, videos, and radio plays. Her talents extend beyond musician, however, to include founding record labels (the influential imprints Moabit Musik and Monika Enterprise), club nights (progressive electronic pop collective Oceanclub), and experimental feminist collaborations (Monika Werkstatt).